Dating from the 7Th Century and beyond Lower Huayan Monastery is the lower part of the largest Monastery in the City of Datong and home to some 12th century unique historic Buddha's and a similarly unique scriptures Library. The main Bhagavan Stack Hall is home to a 1700 Volume historic Sutra collection. Bhagavan Stack Hall itself has some interesting architectural features. Dating to an era and age so far untraceable to us, the wooden 2 story Drum Tower of Datong stands surrounded by some of the cities oldest remaining housing and is just a short and interesting walk away from the HuaYan Monasteries and the Datong imperial 9 Dragon Screen. Study the interesting architecture of this rather unusual drum tower, certainly one of the memorable landmarks of the Old City. Yungang International Hotel - Great 4 star-service on stonesthrow of all city sites ! 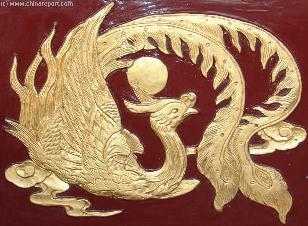 The 600 year old 9 Dragon Screen, the only such screen outside Beijing (BeiHai Park, Imperial Palace Museum). The Datong Screen is not only the oldest but also the largest standing ceramic screen in China. Dating to the 25Th year of the Ming Dynasty the screen is famous throughout China and marks Datong as an important City during China's long history. 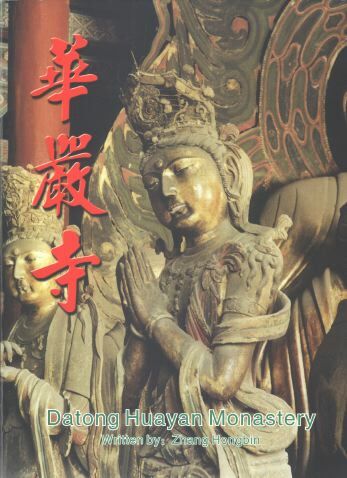 Get a full impression of this Datong Treasure by browsing our full photo-report. Located just inside the South Gate and the earthen defense walls of this typical North-Chinese Hsien(=district Capital ) City stands the 12Th Century Shan Hua Monastery. Equally impressive as the Huayan Monasteries, the Liao Dynasty Era Shan Hua Halls and statues date to roughly the same period. Both are created in the architectural style of the Tang Dynasty during which both religious sites were first established in the city. The Main Halls of Huayan Monastery complex of Datong and the main Temple of the ancient City, the Upper HuaYan Monastery of Datong is considered an absolute hostorical and cultural treasure within China. Almost one thousand years of age, the Main Hall constructed in the Liao and later reconstructed during the Khitan Jin Dynasty, shows definite signs of Tang Dynasty influences. Inside one of the largest remaining wooden Halls in China are some of the oldest remaining clay statues in Shanxi Province. The rather unique remnants of the earthen brick defensive Walls, typical for a North-Chinese "Hsien"(=District) City. The walls, though in poor condition are still standing in some places. 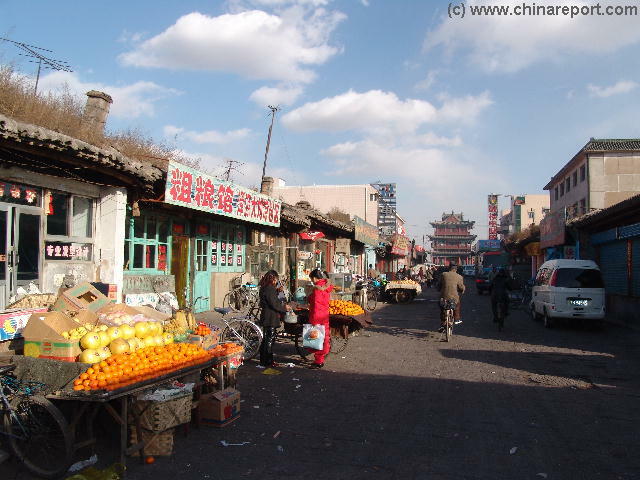 There are only a few walled Hsien Cities remaining in North China of which Datong is listed as one. Another one, a bit more famous is PingYao to the South, once the Financial Center of Feudal Ching Era China. Constructed between 460 and 494 AD the Yungang Grottoes are a UNESCO world heritage site since 2001. Yungang's Caves are the most important remnants of the Northern Wei Dynasty, evidence of buddhisms path to the East on the Silk Road. Together with Ashri Caves in India and Bamiyan of Afghanistan the Yungang Caves are among the most sacred and ancient Buddhist Shrines in Asia, all situated along the Ancient Silk Road. The Yungang Caves are unique in North China. Take the full introductory tour along some of the most magnificent statues in the World! A small road incident turns quickly into chaos near Datong's 9 Dragon Screen. Owing much to its remote location, the negative local situation for agriculture and the roughness of the surrounding terrain, the size of the City of Datong has been relativily small during most of its History. Before 1949 AD, Datong was a small and largely forgotten historic city, only important as the Capital of a poor Magistrates District (Hsien) with as little as only a 100.000 citizens. Its inhabitants were housed inside the old Mud Defensive Walls of the Hsien City of which the Drum Tower Square was considered the Center and Life in Datong was as it had been for centuries, poor, rural, uncomplicated and always rather dusty due to the dust blown from the Yellow River (Huang He) and its Basin nearby in the West. City Inhabitants were mainly farmers, few in number and there was no industry to speak of. The main source of income was derived from tilling the local fertile loess lands with primitive tools and hence most citizens of Shanxi Province lived in the many small villages dotting the landscape and hill-sides around the administrative central City of Datong (among which many so-called Cave Cities). It was only after 1950 AD, during the early development of China's heavy industry, that Datong and North-Shanxi grew into the Coal Producing center of China. Since, jobs in local mines and chemical industry, as well as the establishment of the Military Academy of Datong have swelled the number of its citizens to a recent height of around 1 million. 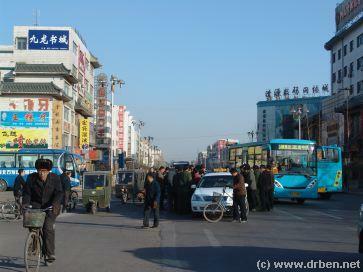 The resulting current day City of Datong is no longer the same. North of the original Walled Hsien, a new City of Datong has arisen after 1949 AD. The new City, an industrial one, has few monuments accept perhaps for the Stalinist City Square and the similarly fashioned Datong Railway Station. Nothing reminds here of any any past Glories or of Silk Roads. and apartments have been constructed, some of the old charm remains. The Oldest City housing, now redundant and thus in process of replacement, can be found around the Drum Tower. Here one can get a great impression of how modest the historic cities life must have been compared to today's. Near Shan Hua Monastery in the South there is access to the crumpled, but still rather unique remnants of the earthen city defensive Walls, which date to the year 1372 AD of the Ming Dynasty. lies the Nine Dragon Screen. 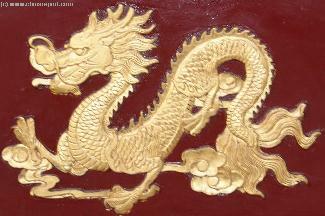 The Dragon Screen is the other Ming Dynasty relic still remaining in the City. Conveniently located nearby all of this lies the only 4 star Hotel of the City, Yungang International Hotel, from which all monuments can be easily walked to and visited. 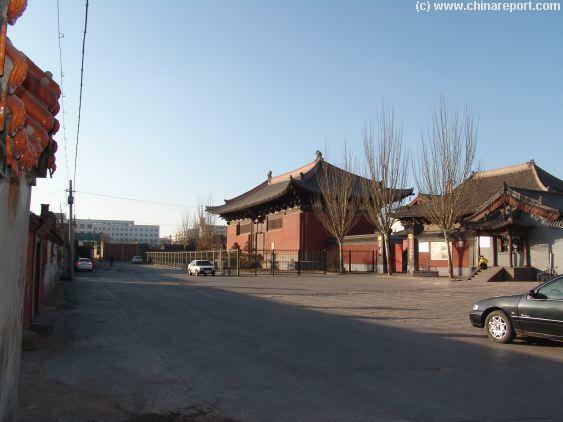 The remaining Monuments of the City and Area all lie well outside current Day Datong. Monument of the Yungang 1000 Buddha Caves, at Yungang Village. Directly North of the the City lies the old Pass of the (outer) Great Wall of China at YanMenGuan. To the South and West lie multiple attractions. Most nearby are Hunyuan with the Monastery in Mid-Air (some 65 Kilometers). 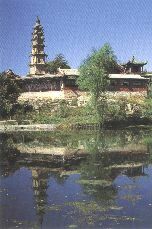 Other destinations are the Mu Ta Pagoda of Yingxian and the wild and beautiful High Mountain Area of the Wu Tai Shan, a holy mountain home to multiple temples and monasteries. Old City housing along a road to the Gu Lou - Drumtower in Datong's Old City Section. Shuisheng Temple of the Qing Dynasty (1736 AD) .